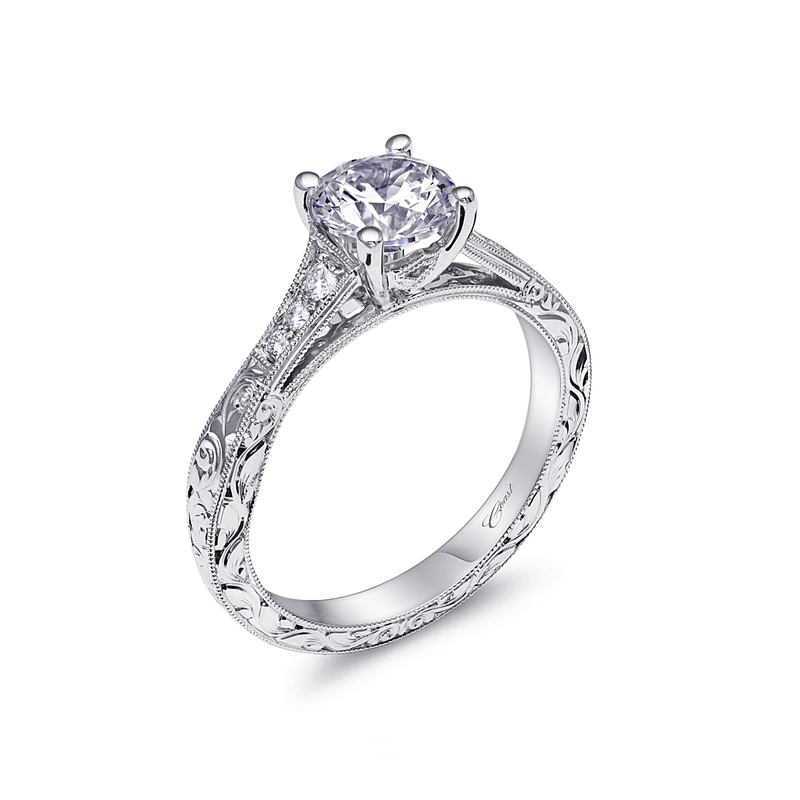 This sophisticated engagement ring features an elegantly designed shank which tapers out towards the sides of the ring. 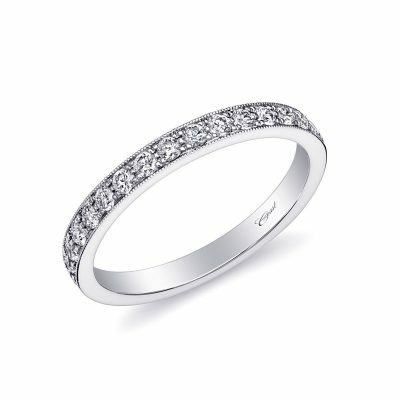 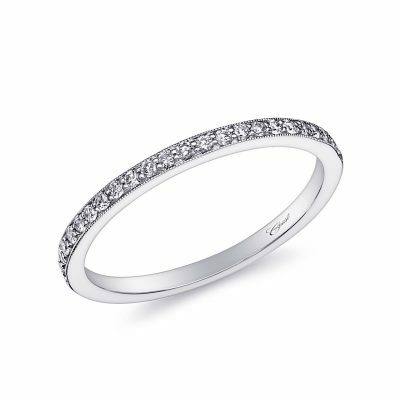 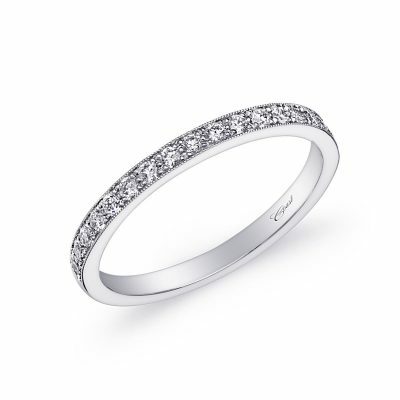 The shank is adorned with exquisite hand engraving and set with fine pave diamonds at the top. Holds a 1CT center stone.